Bob Woodward's Obama book: Will it be as bad as its cover? Bob Woodward, the famous flatterer of Washington's career elite and writer-down of whatever they tell him, has finished his first Obama book. (Woodward writes 15 books about each presidential administration, all of them about how whoever talked to him is gutsy and honest.) 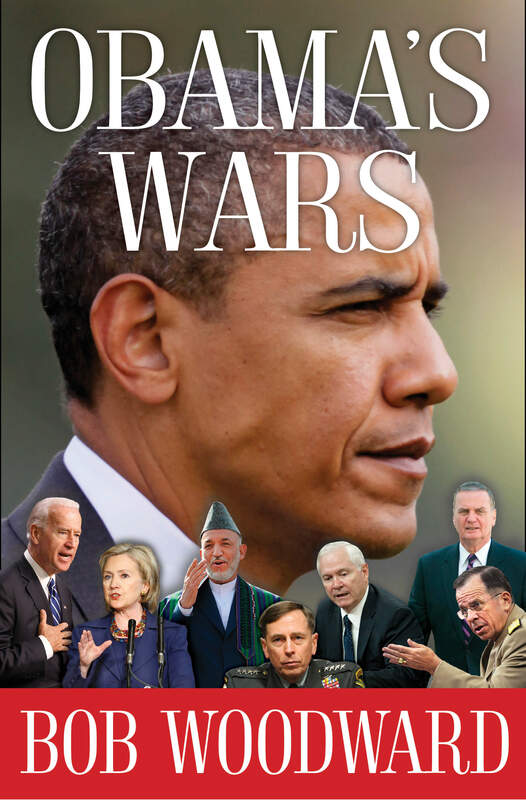 It is called "Obama's Wars" (which, come on, Woodward) and the cover was apparently created by an intern. No, seriously, this cover is hilarious and hideous. Serious face! Sgt. Pepper cutouts! Was there not room to add Osama bin Laden and John Kerry and Liz Cheney and Bo and Brian Ross talking on his terror phone? The book is about Obama's agonizing decision to step up our military presence in Afghanistan. This was already covered in Jonathan Alter's book but Woodward's will probably have way more awesome invented scenes with totally realistic-sounding dialogue and those bits where he tells you what certain people were "thinking" during meetings. Bob Woodward's new book, an account of the Administration's Afghanistan decision-making process, could well strengthen the military's hand; some administration officials fear that the book will characterize the process as messy and chaotic. (Woodward wrote a similar book about Bill Clinton's messy, chaotic budget-making process in 1993, a process that emerged, over time, as a major economic and political triumph). Woodward, a former Naval intelligence officer, is usually pretty friendly to members of the military and intelligence community, in his tales of White House foreign policy fights. Woodward will begin his biennial CNN and morning show tour later this month.